Chester & Tyran. The best customer service coordinator's. Very friendly and always answered my questions. Treyson was a real genuine person making sure I was comfortable and understood each step in my purchase. Be sure to ask for him when you are looking to purchase a car. He will not steer you wrong. Servco Less is the Best !! In my opinion Survco Lexus is best car dealership on Maui. Treyson was so knowledgeable & helpful through our whole process. He really listened to our needs/ wants in a car & he made it happen! After he went over all the features of the car with me he said "just because we're done here today, doesn't mean my services stop call me anytime if you have questions!" That's a sign of not just a good salesman/ dealership but a great one! & the new dealership location is absolutely stunning! Hats off to you Survco Lexus Maui! This past week I had my current Lexus in for service and also indulged in a bit of new car shopping. This was my first visit at the new dealership location, and I was pleased that the facility felt considerably more spacious and welcoming. At the service department Tyran always reliably got back to me as to the status of my repair even though I know he was short handed with Chester on vacation. He also assisted with rental car arrangements. And in sales, Eric was very informative and helped me understand the tightly fixed package configurations offered by the distributer for the new version of the sedan I am thinking about updating. I am a tremendously picky shopper when it comes to colors and options, but Eric was patient and stayed well beyond his expected work shift to assist me. Unfortunately the higher optioned sedan I desired was not in stock, however I felt my time was quite well spent. I hope to remain a Lexus customer as I do pay significant attention to quality and reliability measures attained by this brand. These guys are really great. I've just had 2 Lexus for the last year or so, and I've had nothing but good results from these guys. Highly recommended. There's a reason that people who own Toyotas are come to this dealership to have there maintenance work done. Kendrick is attentive, knowledgeable and provides great service. I am very happy with my new 2018 RX. So happy. Love driving it and love the service from the whole Servco team, Eric & Treyson as well ! My wife was looking for a new car and we headed down to Servco Lexus Maui. Dan "Kendrick" Dumo showed us the NX compact SUV and went over all of the benefits of driving and owning one. Kendrick was super knowledgeable and friendly. He showed us all of the exciting features that the NX had. My wife especially loved the back lift-gate kick sensor and automatic open and close with your remote or push button from inside. She loved that on her previous car and was happy that the NX had it too. The buying experience went smoothly and we got the best deal we could with everything we wanted. Eric Chang, the manager, made us feel like we were special and Kendrick's professionalism and kindness made this process so much fun. We went on two test drives, compared all the models, and even when we had questions after our purchase, Kendrick was still willing to go over things with our new car. My wife enjoys her new car and loves the look, feel and drive. 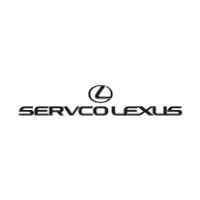 We would totally recommend Servco Lexus Maui and Kendrick. Go see him if you need a new car, looking to own a Lexus, and just want to see what Lexus has to offer. Thanks again Servco Lexus Maui!